Chennai: Authorities in bypoll-bound R K Nagar have received 145 poll code violation complaints and acted on nearly all of them, a senior official said on Monday. The April 12 RK Nagar bypoll was necessitated due to the death of sitting legislator and former Tamil Nadu Chief Minister J Jayalalithaa. The bypoll assumes significance against the backdrop of a vertical split in the ruling AIADMK, with supporters divided between its jailed General Secretary V K Sasikala, and expelled leader and former Chief Minister O Panneerselvam. Both factions are contesting the bypoll, but the EC has barred them from using the AIADMK’s ‘Two Leaves’ symbol. AIADMK (Amma) candidate and Sasikala’s nephew TTV Dinakaran is contesting on “hat” symbol, while AIADMK (Puratchi Thalaivi Amma) has opted for “electric pole” symbol with E Madusudanan as its candidate. Karthikeyan said all efforts were being made to ensure free and fair elections in the constituency. He said each of the 256 polling booths will have four ballot units since there are 62 candidates in the fray. The Voter Verifiable Paper Audit Trail (VVPAT) will also be available, he added. CCTV cameras have been installed at major locations and web casting of the polling process will be done, he said, adding central paramilitary forces’ personnel will be deployed at all polling booths. 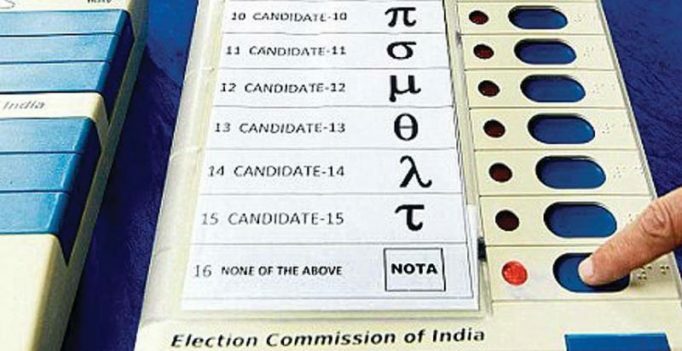 In addition to five observers already appointed by the EC, the poll panel has brought in one more observer, an IAS officer, from Gujarat, Karthikeyan said. Chennai Police Commissioner Karan Singha said Rs 7 lakh has been recovered from the constituency and there was no incident of “major violence”, especially between the two warring AIADMK factions, reported.